Free Shipping Included! 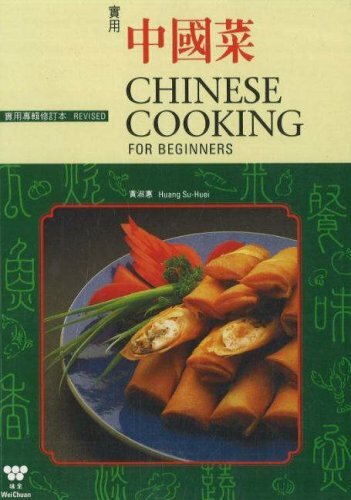 Chinese Cooking for Beginners by Brand: Wei-Chuan Publishing at Translate This Website. Hurry! Limited time offer. Offer valid only while supplies last. A Wei-Chuan's best seller, this internationally popular cookbook contains a wide variety of simplified recipes designed to please the palate. A Wei-Chuan's best seller, this internationally popular cookbook contains a wide variety of simplified recipes designed to please the palate. Featuring American favorites in Chinese dishes such as Sweet and Sour Pork, Hot and Sour Soup, Moo Shoo Pork, Egg Foo Young, and even Dim Sum, this medley of homey and fanciful delights offers photographs of step-by-step preparation; easy, delicious, and familiar creations for the novice and the expert.